Description: This jutsu is triggered by speaking the word "shinigami" (at any volume). All those who hear it will then see the figure of a large, monstrous death-god hovering just above the user. Seeing the fine details (being in Close Perception range) of this figure will shake even the most jaded ninja, giving them -125 Speed for the rest of the post. Description: This jutsu is activated via eye-contact with the victim (Close Perception range). Once activated, the user moves to either the right or left and, at the same time, a clone of the user will appear to move to the other side. It will appear to the victim as if the user had split in two, making them unaware of which one's real. The clone will proceed to mirror everything the user does, however is not advanced enough to mirror jutsu. If the clone makes contact with the opponent, the opponent will feel as if it is real but suffer no actual damage. The victim will be released if they are hit with cumulative level 150 jutsu. Description: This is a genjutsu that reveals the fears that dwell inside people's hearts. Everyone has an image of the one thing they wouldn't want to ever see. This genjutsu is a technique that draws forth such an image from within the heart and has one mistake it for reality. To trigger this genjutsu, the user must be able to see their victim and the victim must NOT be able to see the user. First, an imaginary circle of leaves (or rubble) will spin around and envelop the target, falling away shortly after. After a short period, the illusion will begin. This is to make the illusion more convincing, since the user will likely have moved before the illusion sets in. While under the effects of this jutsu, the target will be unable to physically move. They can break out of this by being struck by or activating a level 100 or greater jutsu (they will only have enough strength to make 1 hand sign while this is active). They will also be released when hit by cumulative level 200 or greater basic strike(s). Description: This genjutsu creates up to 3 eerie black ninja illusions, which appear one by one from trees, rocks, and the ground. Their movements are slow, but when attacked they multiply (by 2), and in this way they appear like ghosts. These illusions have no physical presence, and the victim will not feel any resistance when interacting with them. The main purpose of this technique is for the user to hide nearby and synchronize their attacks with the illusions, making them seem real and striking the victim without giving away their position. This genjutsu is triggered by making contact with the victim(s), either directly (touch) or indirectly (throwing a weapon that gets blocked, for example). The victim is released from the illusion if they are hit with cumulative level 250 or greater jutsu. 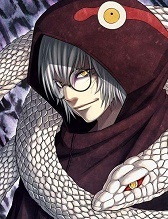 Additionally they can realize this is Genjutsu if they are within Close Perception range of the user when they attack. Description: A genjutsu that allows one to trick others into mistaking the place they're in for another. This technique's main feature is that it can be cast over an area, therefore any and all who step into the illusion's area of effect will fall under the spell. Once activated, the area around the user (50 meters in diameter) will become affected by this genjutsu. Anyone inside of or who enter this area will be affected by this genjutsu, however once they exit the genjutsu will be released. This genjutsu can make an area seem entirely different, or just change minute details such as sign numbers. This illusion will not be able to disguise the physical presence of the actual environment (meaning if there is an object in the area and a victim walks into it, they will feel the object they bump into). If the victim discovers one of these flaws, they will realize they are under the effects of genjutsu. 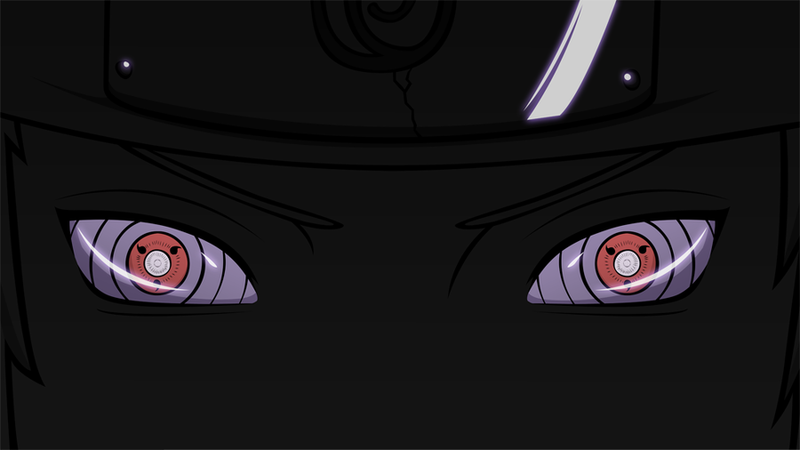 Description: This Genjutsu is triggered by eye contact with the victim (within Close Perception range). The user first disappears from plain sight in a mist-like fashion in order to approach the target without being detected. Once close enough, the target will then be completely robbed of their mobility as they see the mirage of a fast-growing tree coiling itself around them. Once the target is immobile, the user can then attack the enemy, usually after emerging from the trunk of the tree. This Genjutsu will be dispelled if the victim is hit with cumulative level 500 or higher jutsu, cumulative level 500 or higher basic strike(s), or activates a level 500 or higher jutsu (their hands will be bound together, so they can make handsigns). Description: This technique exerts a hallucinatory effect upon the eyesight, effectively blinding the opponent. No matter how skilled an opponent may be, they are forced to wait helpless in this world of darkness, as this technique allows the user to attack unseen. Although it negates sight, it does not stop the other senses. 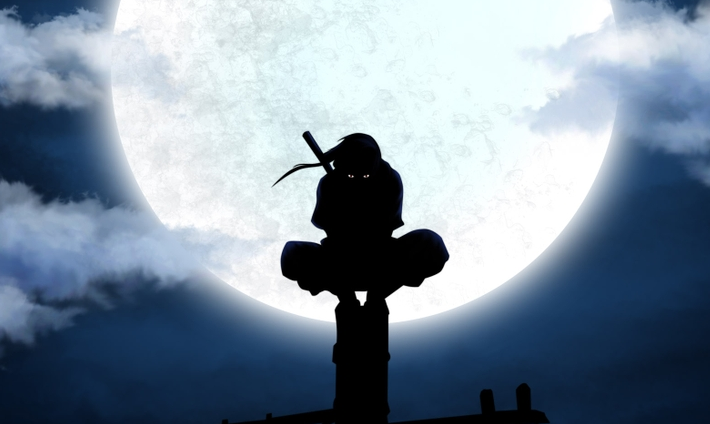 This genjutsu can be initiated when the target observes a "marked" object. This object must be declared when activating this jutsu, and can be anything (even the armor a shinobi is wearing). Any target that looks at the object will be put under the user's genjutsu. Inflicting pain will not release this genjutsu. Description: This is a powerful genjutsu that generates a fluttering rain of sleep-inducing, illusory white feathers in an area 50 meters in diameter. These feathers appear about 10 meters in the air and take 3 seconds to reach their targets. Whomever is touched by these feathers will experience Eden-like bliss and fall into a state of tranquil slumber. Being struck by cumulative level 500 jutsu or basic strike will automatically release any victims. 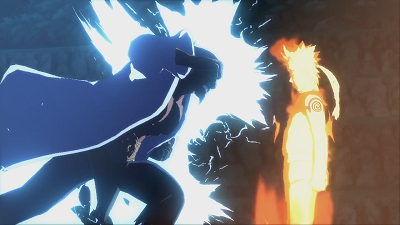 Additionally, this jutsu can only affect shinobi of a lower rank than the user. Description: This technique allows the user to put their opponent within a genjutsu, simply by pointing at their target. 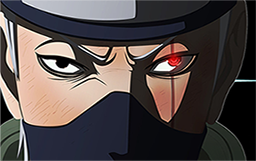 If the target looks at the user's finger (Medium Perception Range), they will be put under the genjutsu. When the technique activates, crows will flock from the user and turn into shuriken which bombard the target. The shuriken then appear to secrete a noxious chemical that puts the victim to sleep for the remainder of this jutsu. If the target realizes this is a genjutsu and attempts to release it, they will experience the sensation of their body parts turning into a variety of other people just before releasing. This psychological shock results in -250 to all stats for 1 post.